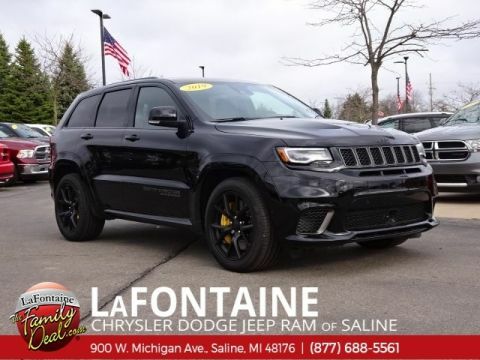 Diamond Black 2018 Jeep Grand Cherokee Trackhawk 4WD 8-Speed Automatic HEMI 19 Speakers High Performance Audio, 7 & 4 Pin Wiring Harness, 825 Watt Amplifier, Automatic temperature control, Blind spot sensor: warning, Class IV Receiver Hitch, Front dual zone A/C, Garage door transmitter, Heated front seats, Heated steering wheel, Heavy-Duty Engine Cooling, High performance Audio, Memory seat, Power driver seat, Power passenger seat, Quick Order Package 2XV, Radio: Uconnect 4C Nav w/8.4" Display, Red Seat Belts, Remote keyless entry, Steering wheel mounted audio controls, Suede/Nappa Performance Seats, Trailer Tow Group IV, Ventilated front seats, Wheels: 20" x 10" Black Satin Aluminum. New Vehicle Inventory! 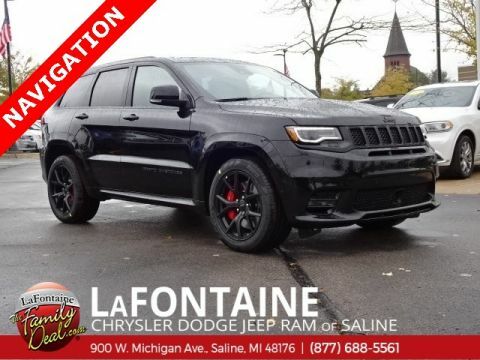 For immediate assistance call (810) 714-3300! 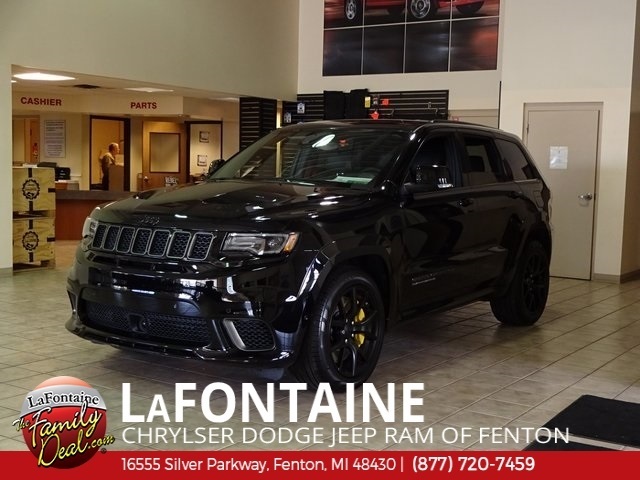 Located at 16555 Silver Pkwy, Fenton MI, 48130 Come and experience The Family Deal!